Ella watched in wonder as the ballerina’s twirled and spun around the wintery stage. For years she had wanted to see Tchaikovsky’s Nutcracker ballet. Now, here she was in a magnificent theater, not far from Rockefeller center and the magnificent Christmas tree. It was truly a magical, wintery wonderland time of year. My flash fiction is always longer than about 200 words. This comes in at fifty two words. Whoa. I was listening to classical winter like music, and since Tchaikovsky’s Nutcracker Ballet has been one I am dying to see one day… It was in my head. In this day and age it isn’t often that you can find someone you truly admire and look up to. There are very few heroes like there used to be and we tend to look to our imaginary superheroes of film or television. Captain America of Marvel fame is quite popular. Embracing the values that made our country great, it’s easy to see why we look at figures like this in awe and respect. Personally, I’m a huge fan of Captain America. He embodies the good looking, clean cut, clean life, God fearing, country proud man of the era of WWII, which is obvious since that is his time period. This is my idea of an ideal man. He had the right qualities, and oh look, he knows how to treat a lady as well. But there are very few men like Captain America. Very few men whom our boys can look up to and have a role model. Except for maybe one man. It’s not often that you can look at a man who is ballroom dancing and say, oh, that is someone to admire, but in the case of Noah Galloway, I think he is truly someone to admire. Taking Dancing with the Stars by storm, he has taken the ballroom to new heights and surprised, impressed, and made us all cry. Who would have ever thought a man missing the limbs on his left side could ever do what he has done every week? Here is a man who was lost out of high school, who saw the two towers being bombed, who decided to sign up to fight for our country. Who lost his limbs and what was the life he knew in one moment. In one flash everything was gone. He gave his arm and leg for our country. He served our country and fought for our freedom and lost something so personal. How could anyone who has not been in combat even come close to knowing what this man has gone through. And yet week after week he danced his heart out, bringing us to tears with his amazing work ethic and self motivation. Here is someone who respects hard work and pushing one’s self. Never giving up even when there were downsides to the dancing. Even though he has never received the highest scores. Caring for his partner, Sharna Burgess, in a way that all men should care for a woman, be it friend, mother, sister, lover, etc. He respects women. You can see it in how he treats Sharna. Here is a man that embodies Captain America. Who says we need Marvel with a fake hero? We have a hero right here at home is showing the world what he can do. Pushing himself beyond the boundaries of modern dance. 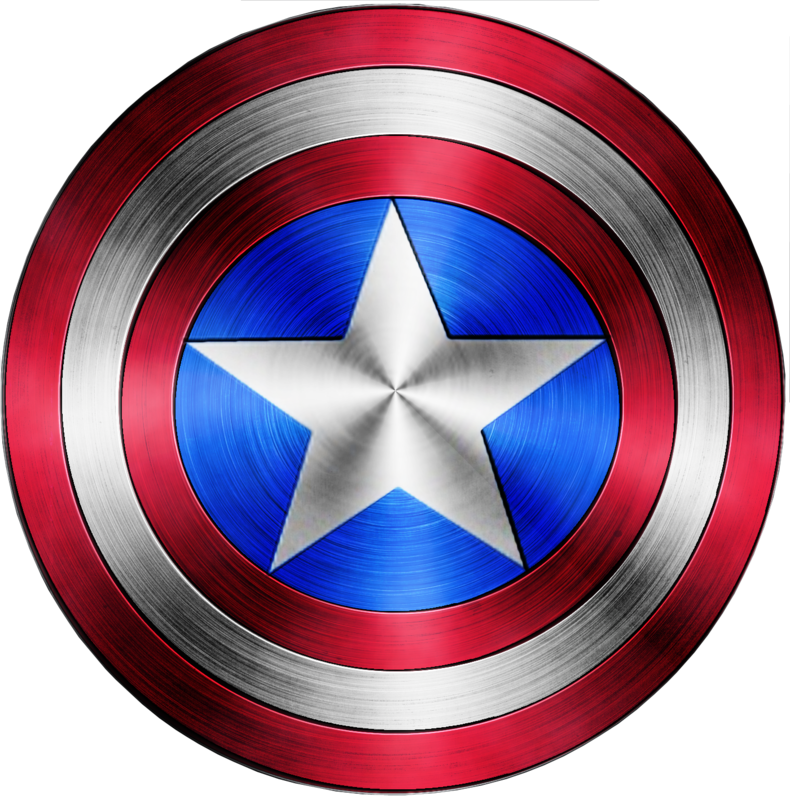 …… Or the fake shield? Showing us all that pushing ourselves does get us somewhere. You want a man for your young son to look up to? 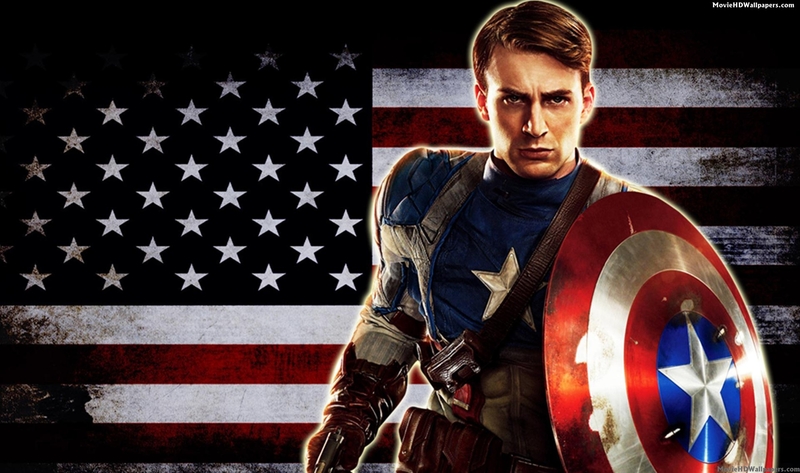 Show him Noah Galloway and you are showing him the real Captain America. I know which captain I would take. Ballroom has swept more than just the nation. It’s even creeping (marvelously so) into music videos as demonstrated by Ed Sheeran in his new song, “Thinking Out Loud”. In this remarkably romantic song, Ed dances this sensual rumba/contemporary number with a talented brunette taking a song that has so much meaning, to another whole level. makes the song and dance a pleasure to watch. I’ve never hidden the fact that I adore ballroom dancing what with my DWTS (Dancing With the Stars) fascination. I go pretty gaga over the whole thing. I want to dance it, I want to be a part of it, I love putting music to a dance. This time a modern singer who is quite marvelous in his own way, has gone and done it for me. He’s taken a marvelous song and put it to a dance just for pure enjoyment. Am I gushing? Maybe just a little bit, but honestly, watch the video and you tell me if I’m off my rocker. I bet I’m not. For all those girls out there. This is for you. Close the door, turn on the music, and dance. Or, if you can find that autumn field and you have your mp3 player, go for it. It’s true. I admit it completely and somewhat proudly. I am a fan of Dancing With The Stars. I suppose that you could pretty much say that being a woman = DWTS. I have gotten sucked into the world of spray tans, glitter, and lots of bare male chests this season. And like every season, I find myself wishing I could be on the show. No, not an audience member… I mean, I want to dance! Get my groove going. ”] For those who don’t know me, getting my groove on is laughable. I do not have a groove. My mother tried to teach me rhythm…. “I’ve got rhythm, I’ve got music, I’ve got my man, who could ask for anything more” was not a motto I could use. In all reality, I don’t got it. But, I’m dying to dance! I love music, and I love watching dancing. Well, I may never be on the show. I may never take dance lesson, though if I ever have the opportunity, I am going to. I may never find a use for dancing. But I still love it. And my one way to really enjoy it is listening to music and putting a specific dance to it. Tonight I was thinking about the song “Young Turks” by Rod Stewart. It would make a killer jive. Eric Clapton’s “River of Tears” would be an amazing waltz. 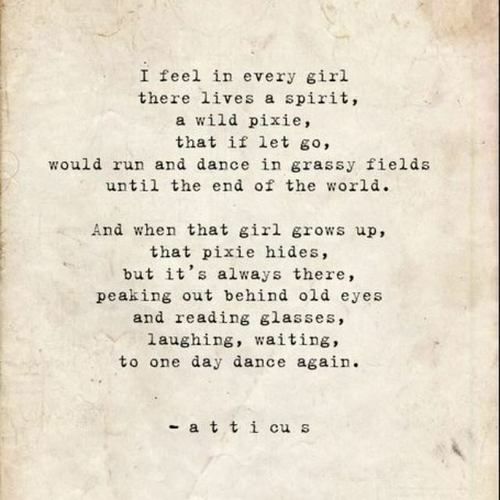 That is how I think about dancing. Putting dances to favorite songs. And this is coming from someone who can’t read music, very well. My mother tried to get me to play the piano. Ah yes, I was a very willful child, and I did not get math. I was doomed. So, I may never play music. I may never dance. But I can write, so I guess all’s not lost. But I love dancing, and music, and combining the two makes DWTS one of my favorite shows. I can’t even claim it as a guilty pleasure because I don’t feel guilty watching it. Okay, possibly it was because I was reading Poemcrazy, but I flipped open to a section on writing about loaded words. I’ve read this part a couple of times but was never able to get anywhere. Last night one word in the exercise, ‘begin’, started me thinking and this little free form thing came out. I’m not sure it will make sense to anyone else, but I like it. 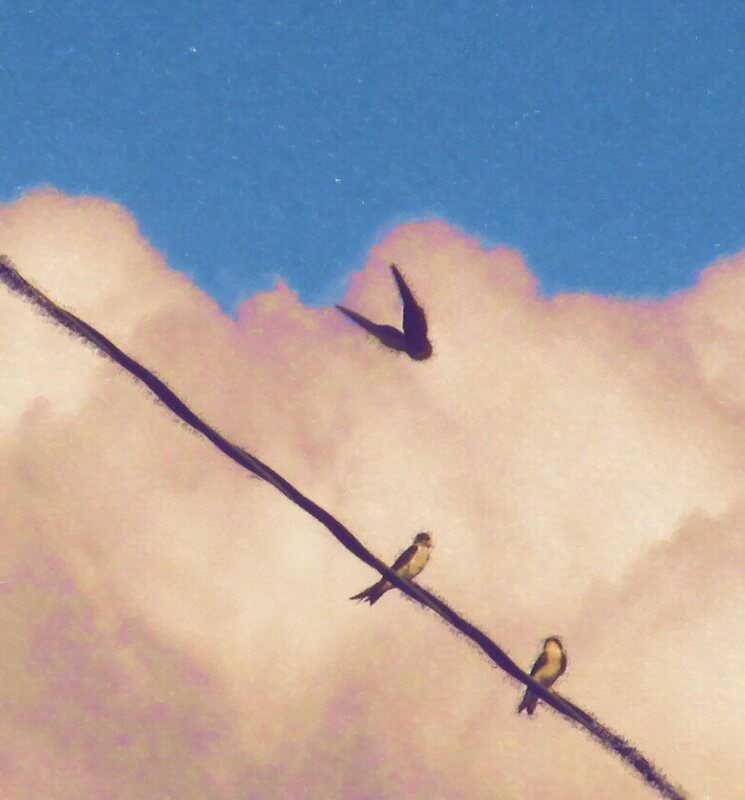 I was laying on the lawn last night listening to Jennifer Lopez’s “On the Floor”, of all things, and the soaring music within the song fit perfectly with the tree swallows gliding across the sky. But the beat and bounce of the song fit as well. It was like watching this perfectly coordinated dance. Magical and etherial. The picture is one I took last night then rendered as a pastel in my photo program. To take what is known. With the slightest of sounds.